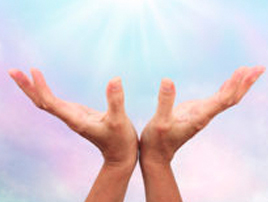 What is Reiki, and how does it feel to receive Reiki? Experience Reiki through this introductory class with Asako, who is a certified Gendai Reiki Master. Yogshakti is an accredited Yoga School (RYS 500 and YACEP) registered with Yoga Alliance, USA. 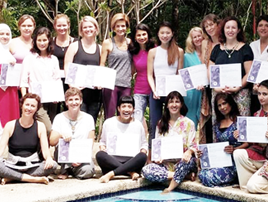 Our 300 hours Integrative Yoga, Registered Yoga Teacher training (RYT) program will empower you to teach and practice a style of Yoga that is unique, holistic and transformational. Amidst the beauty of an ancient and pristine tropical rainforest, experience a comprehensive program of Nature immersion, meditation, breathing, whole foods, massage and new knowledge. At Yogshakti, we approach Yoga holistically through our classes and workshops which are designed for you to appreciate all facets of health and well-being- physical alignment in postures, diet, sleep, breathing, deep relaxation, cleansing practices, mindfulness and meditation. We are passionate about helping you find your inherent power and uncover your dormant potential. The core principle of Integrative Yoga is that of cultivating awareness in everyday life. We believe that meditation is not separate from the physical asana practice or from life itself. Our practices will instil in you clarity of mind, peace and contentment. It will enhance the quality of whatever you do and imbue it with renewed freshness. Yogshakti is a 200 RYS (registered Yoga School) and 300 RYS with Yoga Alliance USA. It also provides continuing education programmes for existing Yoga teachers. The 21-day course went beyond my expectations, and it is hard to find the words to explain the magic and beauty of my experience. I discovered yoga like never before, and I know it is only the beginning of a new journey. The daily practice of kriya’s have been life changing. I have lost a large amount of belly fat and do not crave food for comfort. I’ve noticed a dramatic effect on the efficiency of my bladder in a way that leaves me feeling cleansed and that my kidneys are functioning efficiently. It was truly a unique experience! We had an amazing time with great teachers and a real global experience. I loved it so much I am already pushing some friends to join the next course! The kriyas I learned at Yogshakti were simply fantastic. I have recently started doing them on a daily basis and find it really powerful. I have greater concentration at work, stability in my emotions and more energy. I do not feel tired like before. I am really grateful to have this in my life. Practicing yoga with the “spine awakening” technique has been the biggest detoxification I have ever experienced. After only the first few sessions, I felt decades of tension, emotion, anger, pain, guilt, etc., being released from my spine. The Course was life changing! There were moments when I glimpsed the real ‘essence’ of Yoga. During the philosophy session I had a ‘eureka’ moment in which suddenly everything made sense. Now I see a path ahead with no suffering – just the Now, acceptance & Being! It’s all within me. 10 days into the Buteyko Breathing practice and I’ve lost 3.5 kilos. I sleep much better and am more calm and alert. I have more energy than before. It has helped my yoga practice and cravings for caffeine & sugar have gone. I feel much more positive and open to greater possibilities. I never knew just mere breathing alone can make such a difference to my life. With beautiful, flexible space and a prime location in the heart of Kuala Lumpur, Yogshakti is the perfect venue for lectures, networking events, classes, parties, and more.